Consent　is used in many different　social and legal contexts　with the　pervasive understanding　that it is, and has always been, about autonomy - but　has it? 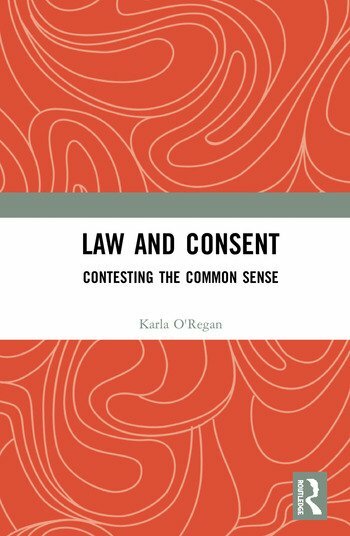 Beginning with an overview of consent's role　in law today, this book investigates the doctrine's　inseparable association with　personal　autonomy and its effect in producing both　idealized and demonized　forms of　personhood and　agency. This prompts a search for alternative understandings　of consent. Through an exploration of sexual offences in Antiquity, medical practice in the　Middle Ages, and the regulation of bodily harm on the present-day sports field, this book demonstrates that, in contrast to its common sense story of autonomy, consent more often operates as an act of submission than as a form of personal freedom or agency. The book explores the implications of this counter-narrative for the law’s contemporary uses of consent, arguing that the kind of freedom consent is meant to enact might be foreclosed by the very frame in which we think about autonomy itself. This book will　be of interest to scholars of many aspects of　law,　history, and feminism, as well as students　of criminal law, bioethics,　and　political theory.